When it comes to interpreting and advising clients on distribution/franchise agreements, we watch Ohio courts carefully. Cases involving these issues are pretty rare for a lot of reasons. So when an Ohio court rules, we pay attention. One case we have been watching involves one stalwart Ohio craft brewer (Great Lakes), and a sizeable distributor (Southern Glazer). On June 26, 2017, the Sixth Circuit Court of Appeals overturned a preliminary injunction a lower court had issued against Great Lakes. While the case will continue in the trial court, the decision offers some important takeaways for franchise agreements in Ohio. First, some background facts. Great Lakes and (at the time) Ohio Glazer's entered into a franchise agreement where Glazer's would serve as distributor for Great Lakes in Columbus. The agreement provided that Glazer's had to obtain prior written consent from Great Lakes to change ownership, even though Great Lakes had to guide its decision to consent upon "reasonable business judgment." The agreement also provided that Great Lakes could terminate the Agreement for cause immediately upon the occurrence of certain causes not subject to cure, one of which was if Glazer's had a change in ownership without consent. In January 2016, Glazer's merged with Southern Wine & Spirits to become Southern Glazer's. Great Lakes asked for details and how the merger would impact Great Lakes in the Columbus market. Glazer's did not believe Great Lakes' consent was necessary under the agreement, and under Ohio franchise law. Great Lakes disagreed, withheld consent to the merger, and offered to provide evidence to support its reasonable business judgment. It then sent notice terminating the franchise agreement. Glazer's filed suit in federal court seeking a prelimnary injunction to stop Great Lakes from terminating the agreement. The trial court agreed and issued the preliminary injunction. The only issue for the U.S. Court of Appeals to decide was whether the trial court properly granted the preliminary injunction against Great Lakes. The Court looked at Ohio franchise law, and the agreement to see if the two were consistent. Ohio's Franchise Act regulates and looms over every relationship between brewers and distributors. It requires a "just cause" for termination clause in every agreement. It also invalidates any agreement that waives any of the prohibitions contained in the Act. The Act prohibits the "transfer [of] the franchise without the prior consent of the manufacturer, who shall not unreasonably withhold the manufacturer's consent." Glazer's argued that it did not transfer the "franchise" without consent; it transferred the "business." The Court of Appeals disagreed. It found that the agreement was consistent with the Franchise Act. The agreement echoed the "good faith" and "fair dealing" language of the Act. Also, Great Lakes acted consistently with both the agreement, and the Act, offering to demonstrate the business judgment underlying its decision to terminate the agreement. The Court reinforced that a brewer and distributor are allowed to bargain for rights and responsibilities over and above those set out in the Act, as long as those new provisions don't waive the prohibitions of, or fail to comply with, the Act. Great Lakes gave reason for terminating the agreement, and that reason met the definition of "just cause" under the Act. The Court went on to discuss whether or not Glazer's was likely to "suffer irreparable harm." It found that they likely did. This was a noteable (although ultimately irrelevant) finding: "When a distributor loses a unique product like Great Lakes' craft beers, it threatens their relationship with the retailers that have come to rely on the distributor for the in-demand product. And in this case, the effect of the loss of goodwill would be substantial." But, these numbers don't really matter in the final analysis in this case because the Court found that the trial court committed an error of law when it found Glazer's would likely succeed at trial. Instead, the Court found that Glazer's would not succeed at trial based upon its theory of "business" not "franchise." The Court then sent this case back to the trial court for "further proceedings." Here are some takeaways from this decision. First, if brewers enter into a distribution agreement, it must be consistent with the Ohio Franchise Act. Make sure you square the two. 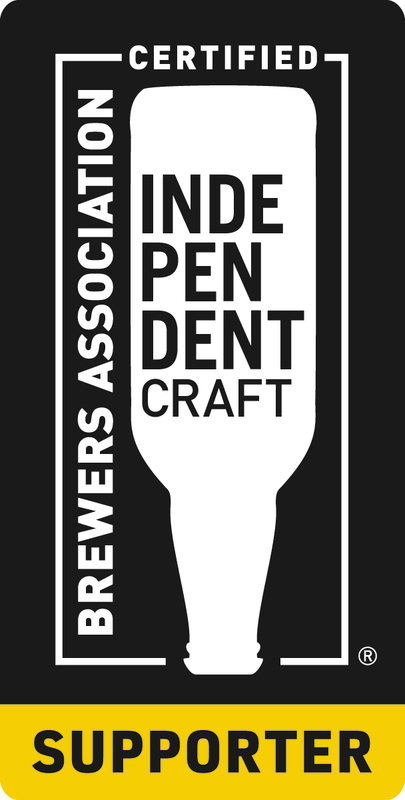 Second, brewers and distributors can still contract for matters outside of the Franchise Act, as long as they do not go against the Act's purposes. Third, if a brewer intends to terminate a distribution agreement, it must make certain it follows the terms of the agreement as strictly as possible. As we always tell clients: if you are going to go through the trouble of having a contract, make sure you follow it. Any misstep here is likely fatal to any attempt at termination. Finally, until the Ohio legislature tackles franchise reform, the Act still looms over brewer/distributor relationships.